Both players and industry insiders consider software supplier Microgaming a frontrunner in the field of casino software development. Microgaming is not only one of the leading providers of quality casino games in the world, but also was the first company to launch an online gambling offering, the Gaming Club. The company was established in 1994 when online gambling was still at its early stages and quickly cemented its position in the industry. Over twenty years after its inception, Microgaming continues to lead the way in gambling software development. This success is to be attributed to the vibrant graphics, life-like animations and user-friendly interface of the games that are courtesy of the software developer. Microgaming has launched over 850 quality games that range from video poker to staples like roulette, blackjack and baccarat as well as hundreds of first-rate slot titles. Some of the slots are in high demand among players because of the life-changing progressive jackpots attached to them, which often escalate to reach a seven-figure sum. One Microgaming slot, Mega Moolah, even made it to the Guinness Book of World Records for awarding the largest progressive win in history. As a matter of fact, Microgaming’s progressive slots have paid out over half a billion Euros in winnings to this date, including tens of millions to individual slot fans, who will never have to worry about paying their bills again. In the following article, you will find an overview of the most popular progressive slots by Microgaming as well as information on how their prize pools accumulate. The progressive jackpots of slots that are courtesy of Microgaming tend to accumulate at a rapid pace which can be attributed to the fact the pools are shared between all the online casinos that run on the developer’s software. A small percentage of each participating player’s bet is subtracted and contributes to the overall pools. Of course, what all players want to know is how to collect the mammoth progressive prize. This varies from one Microgaming slot to another. Some slots, like Mega Moolah, for example, award the progressive jackpot at random and no particular combination of symbols is needed to trigger the prize. However, it is important to mention that the higher the player’s stake is, the greater their chances of hitting the huge jackpot. 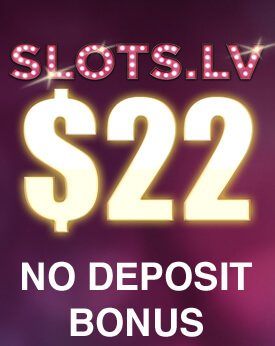 Note that on such slots it is impossible to trigger the jackpot during a round of free spins or other bonus games. On other Microgaming slots, including the popular Major Millions, winning the jackpot is related to the outcome of the actual spins and players are required to land a specific combination across the designated payline to trigger the prize. Another thing of interest is that some Microgaming slots, like those from the Mega Moolah series, have four-tier jackpots and provide players with the opportunity to win one out of four different progressive prizes, namely the Mini, Minor, Major, and Mega jackpots. As soon as one lucky player bags the life-changing prize on one of Microgaming’s progressive slots, the pool starts accumulating all over again. However, the pools do not accumulate from scratch but from a predetermined amount, called a seed. The size of this seed varies from one slot to another and is contributed by Microgaming. On some Microgaming slots, the seed amounts to £1 million. This is to motivate slot fans to continue playing after the pot has been won and ensure the progressive titles are always appealing and worthwhile. What is unique about Microgaming’s progressive slots is that their jackpots are not adjusted on the basis of the current currency exchange rates. 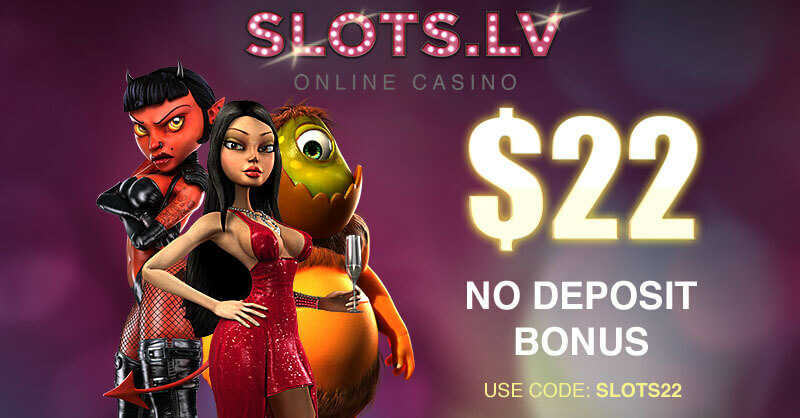 Slots fans are provided with the opportunity to collect the same numeric amount in about a dozen different currencies. This means that if you win 5 million credits while playing in EUR, for example, you will be paid out this exact amount in this currency. Similarly, if you win 5 million credits when playing in GBP, the sum will not be converted to another currency and you still get to collect £5 million. Microgaming has launched a number of different slot titles that have progressive jackpots attached to them. Below, we offer players short overviews of the five most popular progressive titles by the leading software developer that offer the most lucrative jackpot prizes. Check them out yourself to decide which ones appeal to you the most. If you wish, you can enjoy these titles while on the move since Microgaming has adapted them for mobile play. Major Millions ranks as one of the most popular titles in Microgaming’s slot collection which is hardly surprising when we consider the massive winning potential it carries. The game truly lives up to its name and previously held the record for the biggest online jackpot payout when one lucky gentleman collected the sum of €1.5 million in 2002. However, this record was later broken by yet another Microgaming jackpot slot. Major Millions is available in three different variations, namely MegaSpin, the five-reel variant, and everyone’s favourite three-reel variation, which has attained the status of a classic. The good news is all three variants of Major Million are linked to Microgaming’s progressive jackpot network. Practically, it matters not which one of the three you choose as you still have the chance of winning the same progressive jackpot. 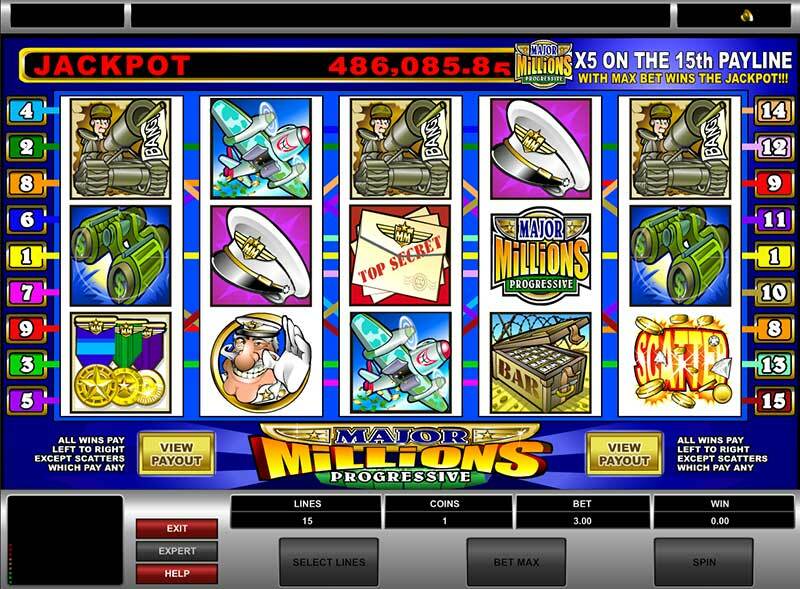 Let’s take a look at the five-reel variant of Major Million, which offers 15 paylines. As the paylines are not fixed, players get to pick which ones to activate and bet on. The game has a military theme as the “Major” in question is, in fact, a high-ranking military officer. The symbols Microgaming has used for the reels relate to this theme and include boxes of ammunitions, a pair of binoculars, tanks, warships, envelopes containing top secret documents, and of course, Major Millions himself. Some of the most lucrative symbols to look for in this slot are the Major Million Logo which is the wild and the explosion symbol that is a scatter and can multiply players’ winnings 3x. To win the progressive prize, players are expected to land five symbols with the Major Million Logo on payline number 15. With a starting seed value of £250,000, Major Million is definitely worthwhile. The slots that comprise the Mega Moolah series easily win the title of the most popular progressive online casino games in the entire world. 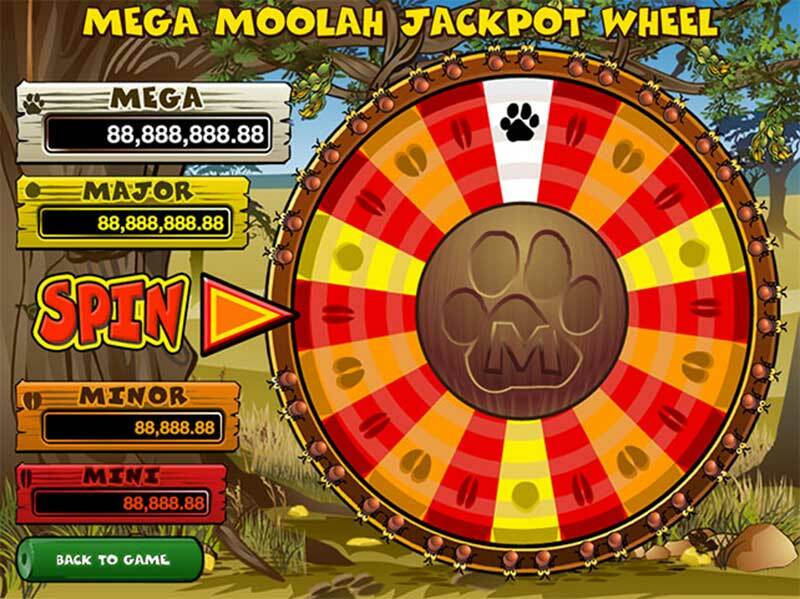 As a matter of fact, Mega Moolah is often referred to as the “millionaire maker” and has even made it to the Guinness Book of Records with the highest payout awarded by an online slot game ever. 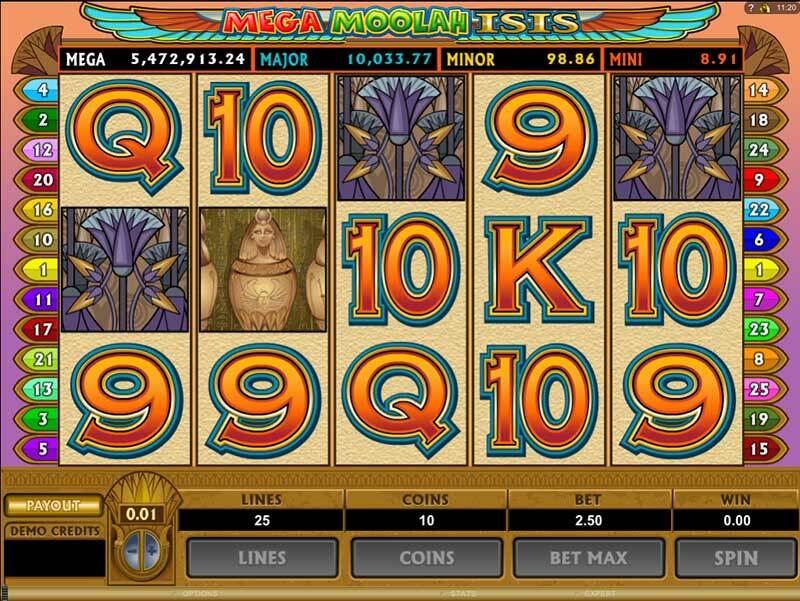 Microgaming has launched several variations of the Mega Moolah slot. These include the original Mega Moolah with its African savannah theme, Mega Moolah Summertime, Mega Moolah 5-Reel Drive and Mega Moolah Isis. All of these are linked to the four-tier progressive jackpot network, so players can win one of the four progressive prizes, the Mini, Minor, Major and Mega jackpots. The seed for the Mega jackpot starts at the impressive £1 million whenever the prize is won in GBP. If a player wins in another currency, the jackpot will be reset to a converted seed value. The Egyptian-themed variant, Mega Moolah Isis, is a favourite among slot players. What the game has to offer are 25 paylines spread across five reels. Some of the special features included are scatter and wild symbols, rounds of 30 free spins with 6x multipliers, and the Gamble feature which allows players to potentially double or quadruple their winnings. As for the progressive jackpot, the bonus game that awards it is triggered randomly and does not depend on a specific combination lining up on the reels. The bonus game features a wheel with sectors in different colours. Each colour corresponds to one of the four progressive prizes. Note that there is only one sector on the wheel that awards the Mega jackpot and it is coloured in white. However, if you fail to win the biggest prize, you are still guaranteed one of the other three progressive prizes. King Cashalot is yet another exciting slot by Microgaming that offers colossal progressive prizes. The game’s medieval theme and bright, vibrant graphics attract a great number of slot fans. 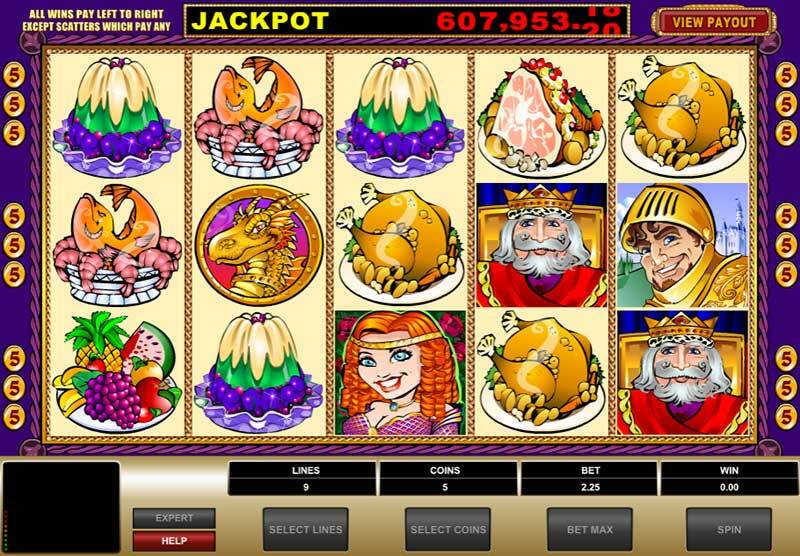 In addition, King Cashalot, which features 9 paylines across five reels, is the first game ever to offer the “Pick-until-Collect” bonus game. Some of the symbols players are likely to encounter on the reels include a turkey, a pudding, a knight, a jester and the titular king himself. The dragon is the bonus symbol in King Cashalot, so whenever players land three of those on the second, third and fourth reels, they will trigger the Treasure Bonus round. Another lucrative symbol is the jester scatter symbol, which can increase players’ profits by multiplying the wins by the total number of credits they have staked. However, if players are aiming at collecting the life-changing jackpot, they are required to land five king wild symbols on the 9th payline. Ancient Egypt appears to be among the most popular themes that inspire slot software developers and Microgaming is hardly an exception. The leading casino games supplier gives players the chance to indulge in the vividly-coloured masterpiece that is Treasure of the Nile and potentially end their gaming session by collecting the huge progressive prize the game has to offer. 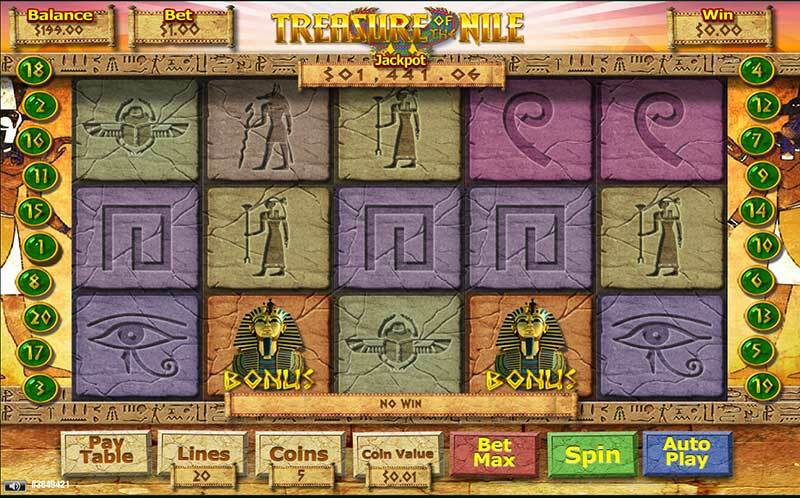 Treasure Nile is played on five reels and has 9 paylines in operation on each spin. The coin value for each of the nine paylines is set at £0.50 and it is possible to bet only one coin per line. Thus, players will spend £4.50 per spin. Some of the symbols included in the game are the Eye of Horus, the death mask of Tutankhamun, the Sphinx, cobra snakes, and the Egyptian god of the dead Anubis. Some slot fans frown upon Treasure Nile because they think it lacks in features. This is not entirely true. Despite the fact there are no free spins and bonus games in this slot, it features a wild symbol, represented by the pyramids, and the Scarabaeus beetle scatter. In addition, the winning combinations in the game can be read in both directions, from left to right and from right to left, which is also considered an advantage. However, the symbol all Treasure Nile fans are hoping to see on the reels is the death mask of Tutankhamun. Those, who succeed in landing five King Tut symbols on the 9th payline, will trigger the progressive jackpot and collect a life-changing amount of money. 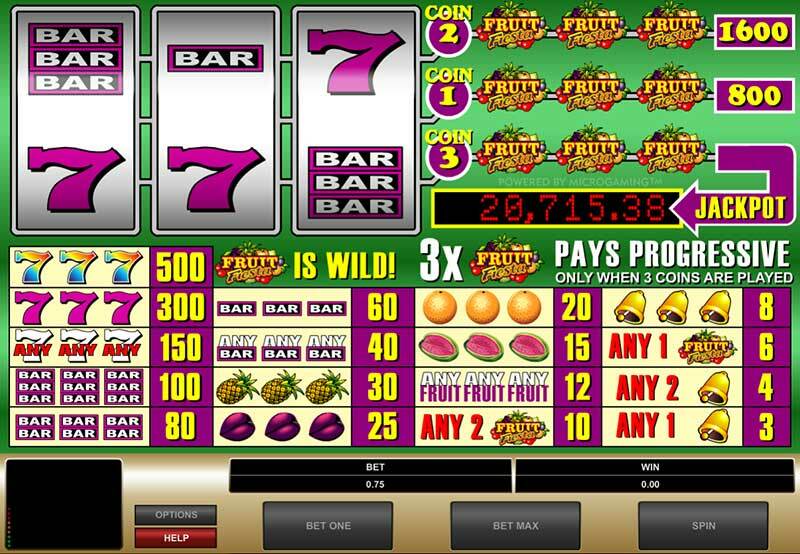 Microgaming’s Fruit Fiesta is more suitable for fans of the classic fruit machines. Originally, the game was available only in the three-reel format but later on, Microgaming revamped the software and decided to upgrade this popular progressive slot. This resulted in the launch of the five-reel version of Fruit Fiesta, which has 15 adjustable paylines to offer. The retro-look and classic fruit theme are part of the appeal of this slot. It makes sense that some of the symbols to appear on the five reels include oranges, watermelons, apples, lemons, plums and pineapples. The lucky sevens and the triple bar are the two highest paying symbols in the game. The slot also features a scatter and the Fruit Fiesta Logo, which is the wild symbol. The coin value in the game cannot be adjusted as it is permanently set at £0.05, with the option to a maximum of one coin per payline. Despite that, players get to adjust the number of paylines they activate and bet on. Players can qualify for winning the lucrative progressive jackpot as long as they activate and bet on all 15 paylines, with a maximum bet amount of £0.75, which is quite reasonable considering the fact you can potentially collect a massive prize. The jackpot is not randomly awarded as players are required to spin five wild symbols with the Fruit Fiesta Logo on payline number 15. But even if you fail to do so, fret not – you can collect the consolation prize of 9,000 coins as long as you land five wild symbols on one of the remaining fourteen paylines.